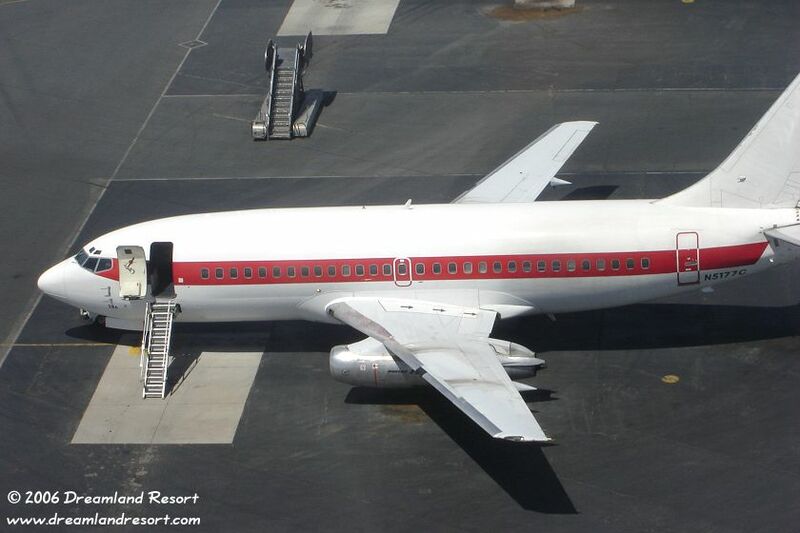 Close-up of "N5177C" parked at the Las Vegas Janet Terminal in April 2006. Click here for a super sized version of this photo. By Mick Chester, with friendly permission. 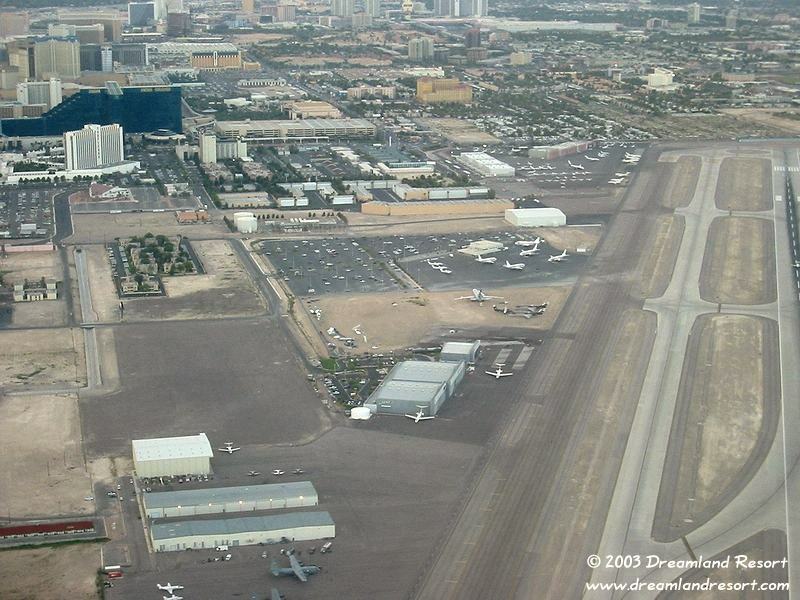 The McCarran Janet Terminal from the air, in the center of the photo. It was taken on a weekend, with only a few cars in the parking lot. 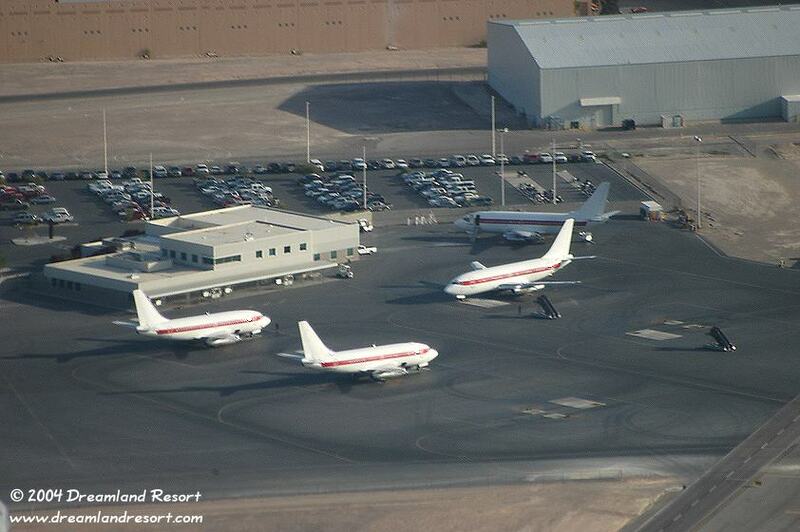 Five of the six 737s and three of the five Beech Kingair turboprops are parked on the ramp. Photo by Robert P. Whitney, with friendly permission. Closeup of the Janet terminal from the air. Photo by Frank Stamm, with friendly permission. 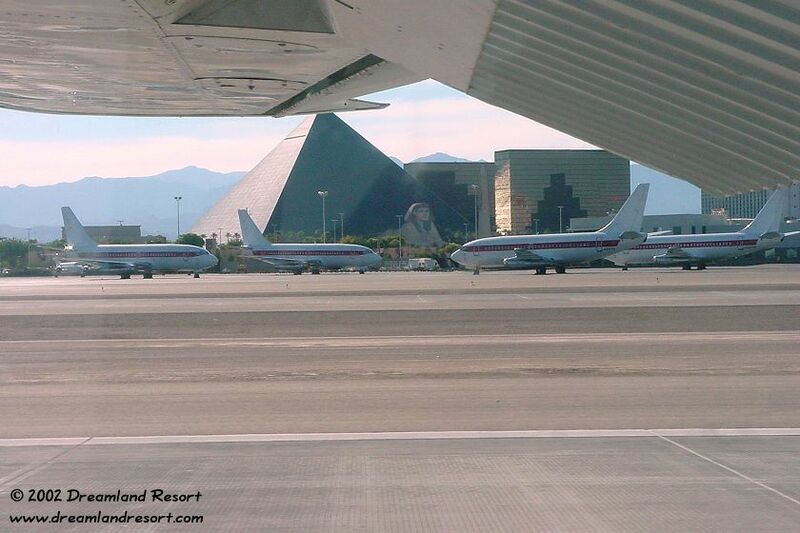 The Janet parking area seen from the McCarran runway. 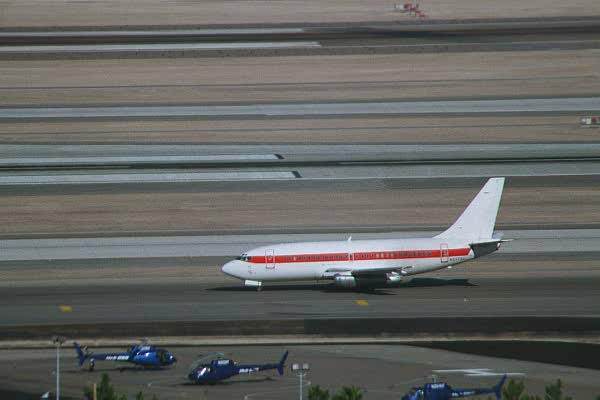 The terminal is behind the two Janets on the right. Photo by Stephen Schoenleber, with friendly permission. 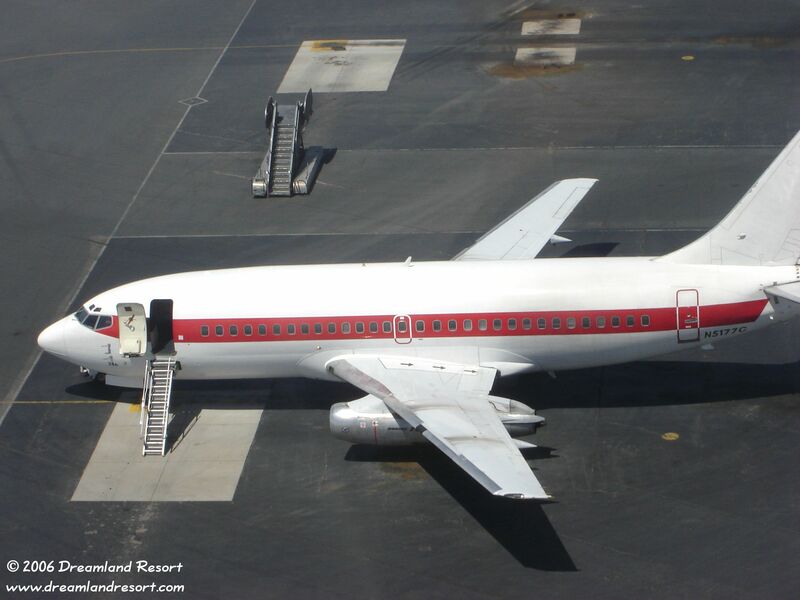 A Janet plane on the runway, ready to take off to Area 51. Photo by Andre' M. Dall'au, with friendly permission.